California Jumbo Loan Options 95%: Jumbo loans with 5 down payment are back in California. These new low down payment jumbo programs allow CA homeowners to take a mortgage loan that exceeds the conforming loan limits set by Fannie Mae or Freddie Mac. With interest rates so low some homeowners would like to consider a jumbo loan to get more house for their money. In addition, the 5% jumbo loan does not require monthly mortgage insurance like many other loans with a down payment under 20%. Below we take a brief look at the jumbo loan basics and discuss all the things you need to know. First, a jumbo mortgage is a home loan that exceeds the typical lending limits of Freddie Mac and Fannie Mae, FHA or the Veterans Administration. Loans sold to either Fannie or Freddie are called conventional loans or conforming loans because the mortgage amount “conforms” to the underwriting guidelines and lending limit of these companies. Until recently, borrowers had to put 10-20% down if they wanted to purchase a home and borrow over the conventional loan limit. Our new 95% Jumbo mortgage with no monthly PMI is a great financing option for California borrowers who want to purchase a home or refinance. This program will allow buyers to purchase a home up to $2,000,000 with only 5% down, and have the option of No monthly PMI. There are not many banks, lenders or mortgage companies offer this program today. This is especially good for borrowers in a higher priced luxury location like San Francisco, Los Angeles, Malibu, San Diego, etc. 95% financing is only available for applicants that can fully document income, assets, etc. To obtain the max 95% financing, borrowers will need a 700+ credit score. 95% loans above $1.5m will require a 740 score. The program can be used to purchase a single family home, townhome or condo. Investment property purchases are permitted but will require a slightly higher down payment of 20% down or more. 5% down is only available for primary and second home transactions. Jumbo rate-term, plus cash out refinance options are available for homeowners that already have a high-cost mortgage. Applicants can choose an interest rate buy down or reduced closing costs options. Higher loan amounts available. Up to 90% LTV financing to $3,000,000 with 720+ credit score. Up to 85% LTV financing to $3,500,000 with 720+ credit score. Please contact us if you are financing over $4mil. Have questions? Please call us at Ph: 800-962-0677 or just submit the Quick Contact form on this page. What is the Jumbo loan limit in San Diego? I want to purchase a home priced at $900,000, what down payment amount would be required? I have great credit, and stable income. The loan amount limit depends on the down payment. Generally, 5% down will be limited to 1.5mil and 10% down to 3mil for approved home buyers. thank you. Are the loan amount limits in LA /Orange County higher? I know this is a more expensive location, I would like to put down only 10%, home purchase price is 3.25mil. Also, is there a payoff clause or penalty with the loan? The 10 percent down options are capped to 3mil. Keep in mind, this is the loan amount limit, not the home purchase price. So in your case, you should be ok up to a purchase price of $3,300,000 assuming you meet the other qualifying parameters. In addition, there are no early payoff clauses. What type of 30-yr fixed interest rate should I expect for a 95% financed jumbo loan with a 755 credit score? Also, are they available for multi-unit / multi-dwelling properties that will also be your primary residence. I am in the market for a 2-4 plex or a property with 2 single family homes zone appropriately for renting out the other home. Most multi-unit properties will require 10% down. 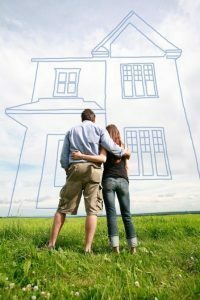 The exact down payment and rates will depend greatly on the final loan amount. Please submit the Quick Contact form a specialist will contact you to review in more detail. Thank you.